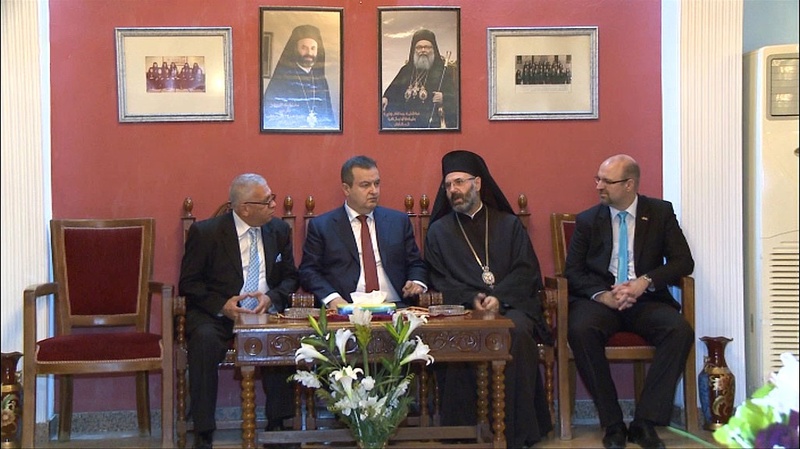 First Deputy Prime Minister and Minister of Foreign Affairs of the Republic of Serbia Ivica Dacic visited today the Metropolitan and Church of St. George where Ghattas Hazim, Orthodox Church Metropolitan of Baghdad, familiarized him with the way of life of a small number of Christian residents in Iraq. The visit made by Minister Dacic conveyed his full support to the life, work and survival of Christians in the Middle East. Minister Dacic joined a memorial mass on which occasion he and Metropolitan Hazim prayed for peace in the Middle East and the Balkans.